I continue to journey towards a desire and vision to support new leaders to EMERGE Strong™! The past year has been a paradox of amazing opportunities and some unexpected frustrations. My sanctuary is awakening each morning to the beauty of our lake and the wonderful creatures that bless our backyard this summer. Stopping to notice the life outside my office window often strengthens and clarifies my vision despite the expected roller coasters we all experience! Summer allows us to slow down for a time of reflection and feedback. August is a time when we often revisit our vision, mission, business plans, values, purpose and so much more. I keep my vision and focus alive by having my three most important commitments on a 3 X 5 card sitting on my side table to see first thing in the morning. I urge you to do the same! As leaders, there is a tendency to forget the slowing down advantage; instead we continuously wear masks to decrease our vulnerability and quirks. This could undermine trust and decrease engagement with our authentic selves and the work we do. Since we and others know we are not perfect, it can be inspiring to reveal our struggles, but also our truths of where we find our inspiration. This inspiration forms the foundation of my ability to remain resilient and committed to my vision. My inspiration often comes from nature and the wonder of the tiny creatures and how they can teach us! Nature often brings symbols that become great metaphors, in my case reinforcing my connection to my essence. Often these symbols take on a spiritual and transformational energy in my life that propel me to a greater sense of self- awareness and leadership presence. This happens if, and only if, I stop, notice and reflect on the feedback and messages. These symbols also form metaphors that cut through the clutter of my overthinking mind, leading to a more authentic leadership vision. Sometimes I share my symbols, with hope my creative perspective may spark a curiosity or imaginative thought that awakens what you need on your own journey too! Do you not tire sometimes from the endless, so called simple formulas that will bring you to your superpowers of a leader? My experience is that we are more complex, powerful and strong then a specified leadership list we must aspire to. We can refer to traditional leadership competencies as “talking points”, however; uncovering our own metaphors and leadership symbols often taps into our unique leadership superpowers. Coaching creates the space to do just that! In the past 2 years I have been visited by a few Robins and have taken the time to trust this intuitive guidance. Could these Robins spark a creative and innovative story? I became curious. The first Robin visit was 2 years ago; I was making the decision to move to our present lakeside home and was revisiting my next career moves. What is extraordinary is during this planning and strategizing, the Robin nested right outside my door until I finished this process! We had lived at this residence for nine years without this occurring. I learned the Robin was a symbol of change and took comfort in her metaphorical message. Normally the butterfly was an image that grounded my reflection and still is, yet the Robin had become a rebirth of a deeper commitment to seek a more systemic understanding of leadership and change. When we moved from our suburban home to our new home on the lake, the nest remained and I felt a sense of sadness leaving my inspired metaphor! 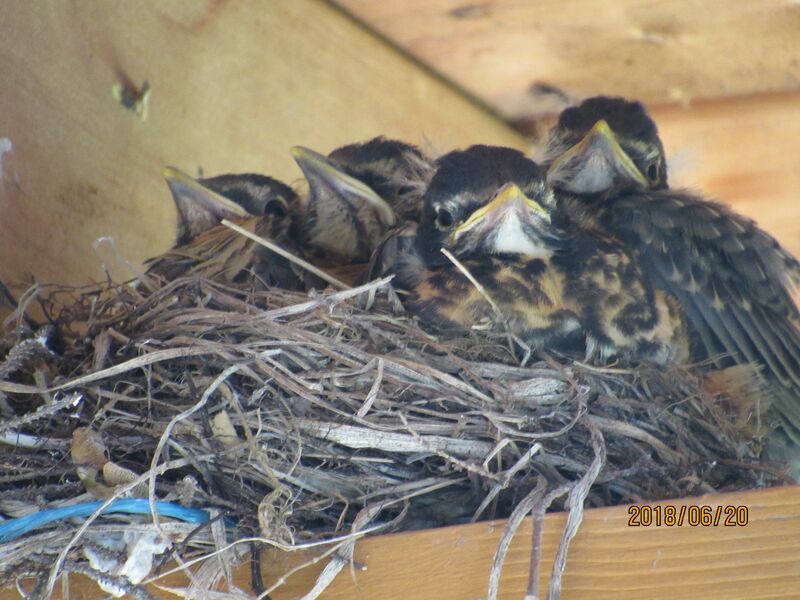 A year passed, now in our lakeside home, as I enter my designated summer reflection time, I have been blessed with three Robin’s nests and twelve babies (actual pictures included)! 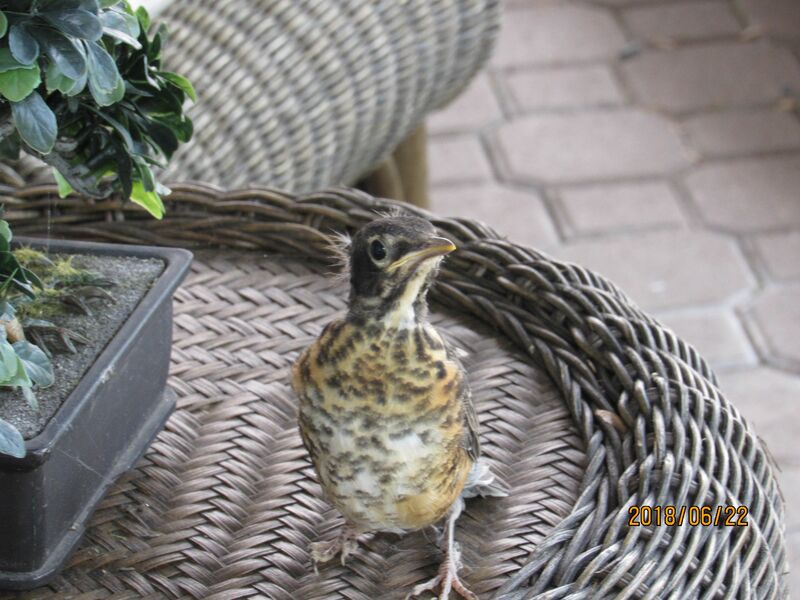 I captured the entire life cycle in pictures, including having the opportunity to assist a more hesitant baby Robin fly away and join his family! Such an amazing reminder that we never know what gifts are awaiting us! Taking a coach approach to leadership, reminds us we best serve our followers by being champions of transformation, not the worshipped expert. Many leaders feel they have to be experts and provide all the answers. Watching the mother Robin provide the basics, preparing the baby to courageously flap her wings, fly, exiting the nest, trusting that the foundations are in place is fundamental to a leaders mission. Leaders can model this. What would it look like to notice your leadership symbols? Do you have symbols or metaphors you love to share that inspire you and your clients? If you think of your business and leadership vision, what powerful symbol or metaphor could help ground you in the next 3-5 years? When you reflect on this Robin metaphor and symbol, does it trigger your own thoughts? The Robin’s guidance was my reminder to remain open hearted, an open thinker, quieting the quacking duck https://www.shelleycox.ca/blog/post/is-your-quacking-duck-stealing-your-brain when the voices of judgment, cynicism and fear emerge. Moving forward, I am humbled by the miracle of birth and renewal as the Robins safely prepare to EMERGE Strong™- I suspect like you - it was born to be great! I called him Larry Liftoff after he flew away to join his team! !